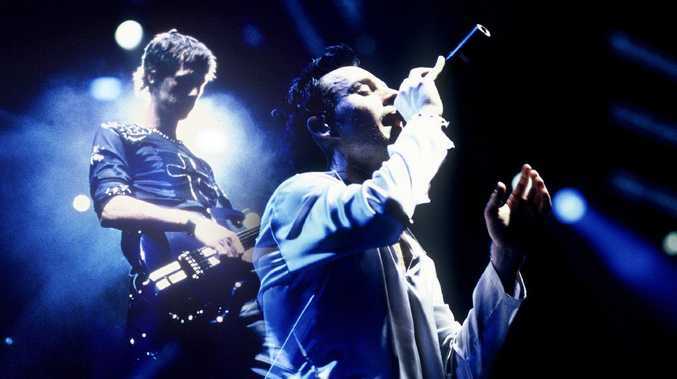 Savage Garden on stage before their demise. They sent out 150 demos to record labels around the world, and got only one bite - from legendary Aussie manager John Woodruff, who negotiated a number of savvy licensing deals that ensured the band would be a priority act in various markets around the globe. Jones was bargained with: if Hayes did all the publicity for the album - the tireless promotional flights, the press junkets and phone interviews - then Jones would agree to a tour. During this period, he launched a band named Aneiki: a duo that he formed, signed, wrote songs with and produced - but wasn't a member of. It was the ideal set-up for a man who shunned attention and wanted to bury himself in the minutia of studio life. The truth of the matter is, both members of Savage Garden have no interest in reforming, but more vitally - they know they simply mustn't. Daniel Jones with his wife Kathleen De Leon and children Keira and Mikayla.